D24FX is located on the in the Marshall Islands and therefore lacks any form of regulation. This is a major red flag as brokers without any form of regulation are far more likely to defraud you, withhold your withdrawals and another scam like activities. It is likely that one of the reasons why there are not many D24FX reviews by traders is because this broker was started in 2016 and is still very young. However, we found something quite concerning while conducting our research into D24FX. On a few other sites, it D24FX is listed as regulated by CySEC however it is known that the Marshall Islands does not fall into CySEC’s jurisdiction. It is the reason why a lot of scam brokers set up shop there. There was also a licence number, 160/11, given on these websites but when we looked into it, this number belonged to Leverate Financial Services which does not have d24fx.com listed as a domain. Therefore either one of two things happened, the writers for these reviews got the information wrong or D24FX tried to pass off another company’s registration as their own, which failed. Either way, it is another sign that D24FX cannot be trusted. We like the fact that D24FX had WhatsApp listed as an option but the service itself was poor. When we started asking more probing questions about the broker itself and about why they are listed on the Marshall Islands yet the Google Maps available on the Contact Us page was focused on somewhere in India, we started receiving very short responses til we received none at all. So far, all we have seen is that the D24FX scam broker is nothing more than that, a scam. The Mini Account carries the lowest minimum deposit which is $250. While this is the lowest minimum deposit for D24FX, it is not the standard minimum deposit and is rather high when compared to that of other brokers. The minimum trading volume for the Mini Account is $5,000 and while withdrawals are free, they take 3 days to process. Mini Account holders do not receive anything else in addition to the features shared by accounts. The Standard Account shares the same features as the Islamic Account. Each account has a minimum deposit of $500. They both have a 3 day wait for withdrawals and “flexible” trading conditions. Both Standard and Islamic Account holders also receive exclusive updates as well. The only difference between both of these accounts is that is that the Standard Account has a minimum trading volume of $10,000 while the Islamic Account has a minimum trading volume of $5,000. The account with the third highest minimum deposit is the Gold Account which requires you to deposit at least $5,000 in order to qualify. 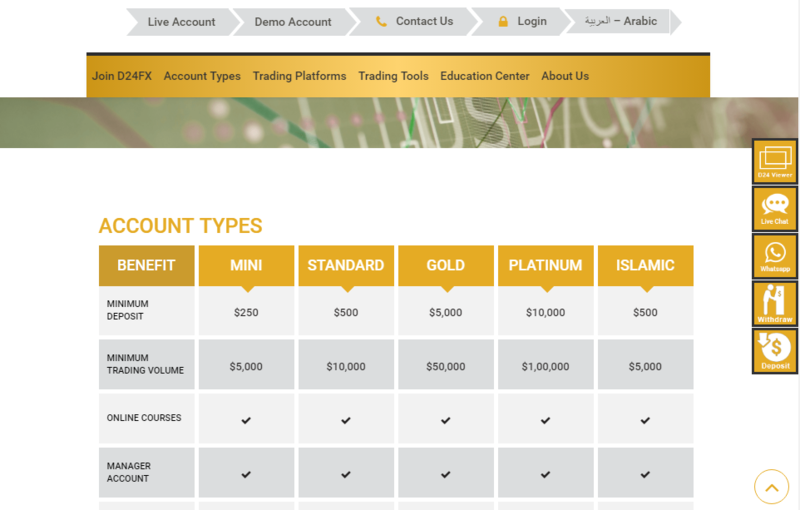 It has a minimum trading volume of $50,000 and actually shares a number of the same features with the Platinum Account that Mini, Standard and Islamic account lack. 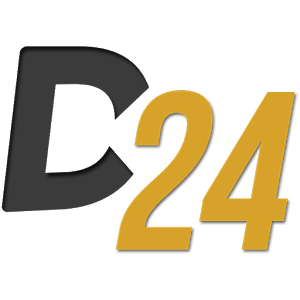 Gold Account users receive a D24FX debit card and a 1-3 day wait for withdrawals in addition to all the other features of the Mini, Standard and Islamic Account. 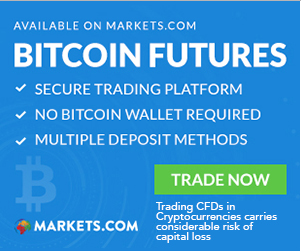 But it is important to note that even though you would have to deposit at least $5,000 to become a Gold member, you still do not receive VIP trading support. But that is not the only disappointing thing about D24FX. Continue reading our d24fx.com review to find out more. The “top tier” account is the Platinum Account. 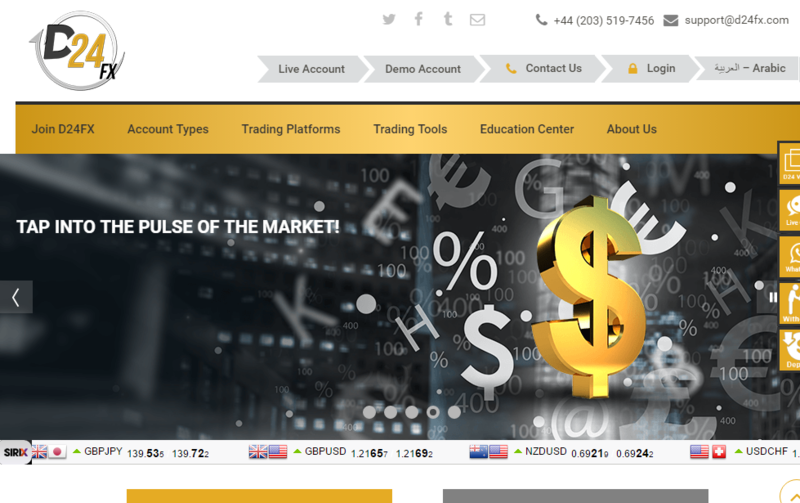 This account has a minimum deposit of $10,000 and a minimum trading volume of $100,000. Platinum Account users have the same Withdrawal times as Gold account users along with all other features including the D24FX debit card. The only differences between the Gold and Platinum Accounts are the minimum deposits and minimum trading volumes. Platinum Account holders do not even receive VIP trading support which makes you wonder, why is there a Platinum Account if you can get all the same features as a Gold Account member. 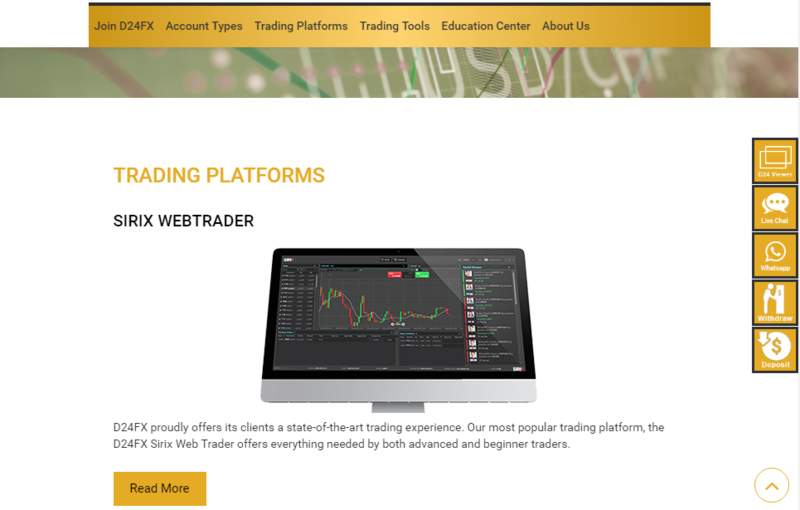 Sirix is another well known forex trading platform, not as popular as the MT4 platform of course, but still known by quite a number of traders. While the Sirix trader has some cool advantages such as its capacity for social trading and the fact that it does not need any form of PC installation. It also has some disadvantages which take away from those. It uses mostly uncommon indicators which old-school traders will find confusing and probably useless. And it has a seriously cramped interface which reduces usability. On top of that, the fact that D24FX does not show any redeemable traits, it is safe to say that you are best with avoiding this platform or any other one if it is being used by this broker. D24FX is indeed young but it clear to see that this broker cannot be trusted. As if the lack of regulation was not enough, there are the obvious lies about location, overhyped account features and poor customer support which confirms our original suspicions, the D24FX broker scam is a reality and best avoided. D24FX Review	Overall rating:	1	out of 5 based on 4	reviews.